Headaches are common pain events for many people, and they are often recurring. A variety of prescription and over-the-counter medications may control headache pain, but they only mask the pain without addressing the cause. Headache medications may also have side effects, especially with long use. Hoping to find a more natural and holistic solution to chronic headaches, many people turn to chiropractic. A headache may arise from muscular tension, vascular changes, sinus congestion, eyestrain and many other underlying causes. They can start over the eyes, in the back of the head, on the sides or top of the head, or feel centered behind the eyes. The one thing all these headaches have in common is that they hurt, and sometimes they hurt a great deal. The amount of pain associated with a headache may range from a mild ache to a throbbing, nauseating, relentless pain. It is a common misconception that some types of headaches hurt more than others. It is often said that, for example, migraine headaches are more painful than other headaches. It is also common to call any kind of severe headache a "migraine." In fact, almost any kind of headache can cause a great deal of pain. Three types of headaches are commonly seen in chiropractic offices: tension headaches, migraine headaches, and cervicogenic headaches. Cervicogenic headaches are caused by pain referred to the head from the bony or soft tissues of the neck. Headaches can be either primary, those that start independently, or secondary, those that begin as a side effect of another disease process. Headaches arising from muscular tension (generally arising from stress) and migraine headaches (vascular headaches) are two of the most common types of headache; both of these headache types are considered primary headaches. A large body of research suggests that chiropractic can effectively treat primary headaches, and many patients have found lasting relief from headache pain through chiropractic care. Tension headaches are caused by muscular tension and contraction involving the muscles of the shoulders, neck and head. Often this tension is a result of emotional stress, though injuries can also set a pattern of muscle contraction into play. It is normal for muscles to contract when we are threatened, irritated or angry, a reaction known as the fight or flight response. Over time, though, if work or home life creates a constant source of stress from which we can neither fight nor flee, the muscular tension can become chronic. This, in turn, leads to uneven stresses on the skeletal structure of the body, and changes in normal posture and movement to compensate. These misalignments lead to more muscular tension and contraction. This can become a vicious cycle that eventually results in pain, often as headache pain. Chiropractic adjustments, combined with other therapies such as trigger point therapy and massage, can release muscular tension and realign the skeleton to break the cycle of pain. Often patients with chronic headaches will find relief through chiropractic in just a few treatments, as muscles relax and nerve irritation is reduced. Migraine headaches are vascular headaches, arising from sudden dilation of the blood vessels of the head. No one knows exactly what causes migraine headaches, though the basic mechanism, involving both the nervous and vascular systems, is well studied. Migraines can be triggered by hormonal changes, foods, smells, weather changes, stress, and many other triggers. The headaches often begin with symptoms other than pain, such as visual auras, nausea or sensitivity to light and sound. The headache that follows can vary in intensity, but is often severe. Many migraine sufferers have found over-the-counter pain medications to be ineffective, and resign themselves to wait out the migraine event in a dark, quiet room. A variety of pharmaceutical drugs have been developed to treat migraines, but none of them work for everyone, and many have unwanted side effects. 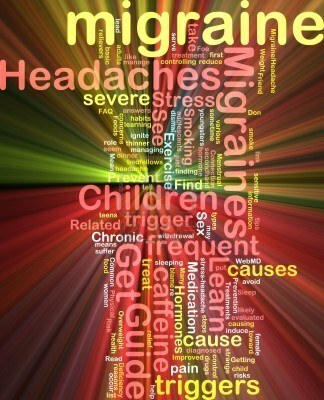 Chiropractic can play an important role in treating migraines. Clinical studies, though still preliminary, suggest that chiropractic may have a measurable role in the prevention of migraines. Through manipulation and adjustments of the spine and neck, migraines can often be reduced or prevented. Nerves control vascular system tension, and chiropractic adjustments reduce irritation of the nervous system beginning with its roots in the spine, also improving vascular flow. How Will a Doctor of Chiropractic Treat Headaches? The fundamental technique of chiropractic, spinal manipulation, is used improve spinal alignment, reduce nerve irritation, relax muscle tension and improve vascular flow. Trigger point therapy, massage and other adjunct therapies may also be employed to broaden the treatment plan. Finally, the chiropractor will often recommend exercise, stretching and changes in posture, or teach relaxation techniques. Forpreventive care, most chiropractors will also provide advice on nutritionalsupplements, vitamins, herbs, and diet toward the development of a long-termwellness plan to prevent future headaches. Chiropractic care can provide a holistic, comprehensive treatment plan for chronic headaches, giving patients an opportunity to put an end to what can be a very stubborn type of pain and a considerable improvement in quality of life.